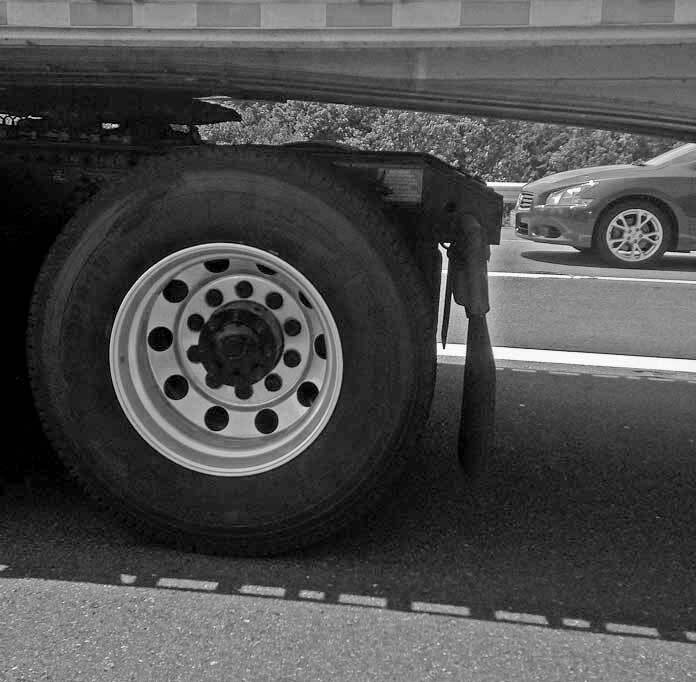 Who Can I Sue if a Truck Wheel Caused Personal Injury or Wrongful Death? You can sue if your spouse was injured or killed by a “runaway” truck wheel. When a truck wheel comes off and causes injury or wrongful death, the fault generally lies with the owner of truck and the company that serviced the wheel. In some cases the manufacturer of the wheel is at fault. You can sue all companies “at fault” for the accident. Poor maintenance is usually the cause of truck tires coming loose and flying into a passing car or other vehicle, injuring or killing the driver of the car or a passenger. Our attorneys recently won several million dollars for a family in such a case. Because the trucking company used the wrong nut, the wheel came off, flew off of a bridge and crashed into the windshield of a passing car. The driver was killed instantly, and a family lost a husband and father. The police investigation did not consider if the nut was the correct one. When attorney Fred Pritzker inspected the truck, he realized the nut was not the right one, that a specialty nut should have been used. If the company had spent just $2 more for the specialty nut, a husband and father of two children would not have died. The manufacturer of the trailer or truck. Failure to use specialized parts that would prevent the tire from coming off. A 22-year-old man was killed when a wheel flew off from a semi and hit his car. The young man was going south when a wheel from a northbound tractor trailer crossed the median. The truck driver was unaware of the accident but was tracked down and detained by the state patrol. A medical doctor what driving home after work when a truck wheel flew through his windshield and killed him. A woman in her thirties was killed by truck wheel that crashed through her windshield and hit her. A passing truck had lost the wheel, which had bounced to the other side of the road and through the woman’s windshield. As with many of these cases, the wheel came off due to rust, according to the investigation. A woman was killed when a runaway truck wheel tore the roof off of her car and hit her on the head. She suffered fatal head injuries. A woman waiting at a bus stop was hit by a truck wheel in her chest. An examination of the truck after the accident found several loose wheel nuts. A woman was walking a neighbor’s dog when a wheel came off a trailer and hit her. She was badly injured and died in hospital a few hours later. A teenage cyclist was killed by a truck wheel while he was racing his bicycle. The wheel hit him on his upper body. He suffered internal bleeding and severe head injuries. He died in the hospital. Our truck accident lawyers have won millions for clients in personal injury and wrongful death lawsuits against corporate wrongdoers.